How to grow food 365 days a year – Yes, even in a snowy winter! You do not have to close up shop on your garden in the winter time. 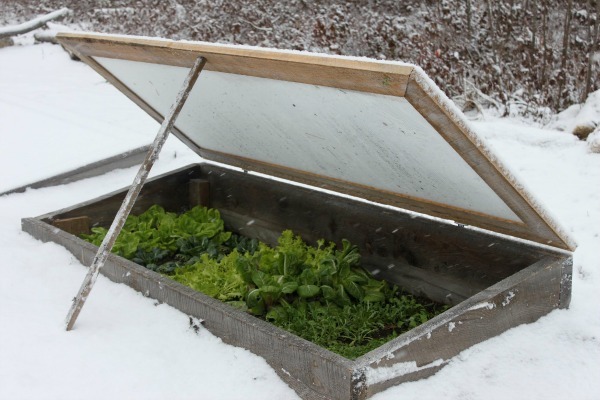 Even if you have several feet of snow, it is possible to continue growing veggies. You’re right. What I know about harsh winter gardening I learned in hort school…not from experience. So I brought on an expert who has years and years of real-life experience in winter gardening. 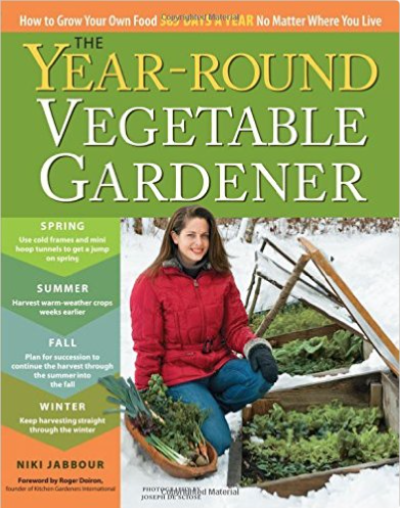 Niki Jabbour, the author of Year-Round Vegetable Gardener. To be successful at winter gardening, you just need some simple season extension aids and some gumption. And I know you all have plenty of gumption! 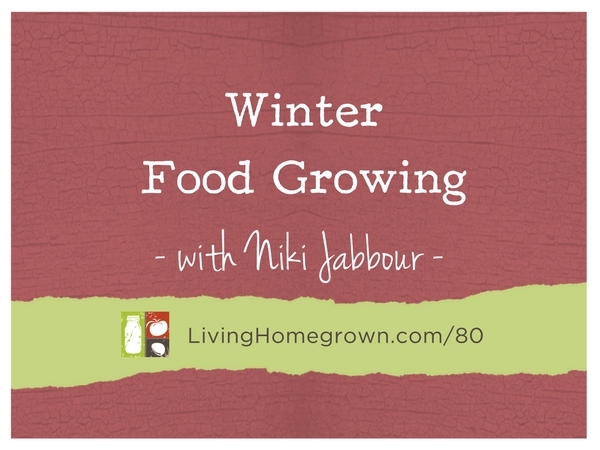 But even if you think you have NO interest in gardening in winter, you can learn a lot from this episode because we are really just talking about extending the season. And that skill can really come in handy when you want to get a jumpstart on your spring gardening in just a few months. By using winter garden techniques, you can warm up your soil and start your garden a little bit earlier. Niki Jabbour is an author and edibles expert from Halifax, Nova Scotia. She believes that a long winter should not mean the end to the homegrown harvest. 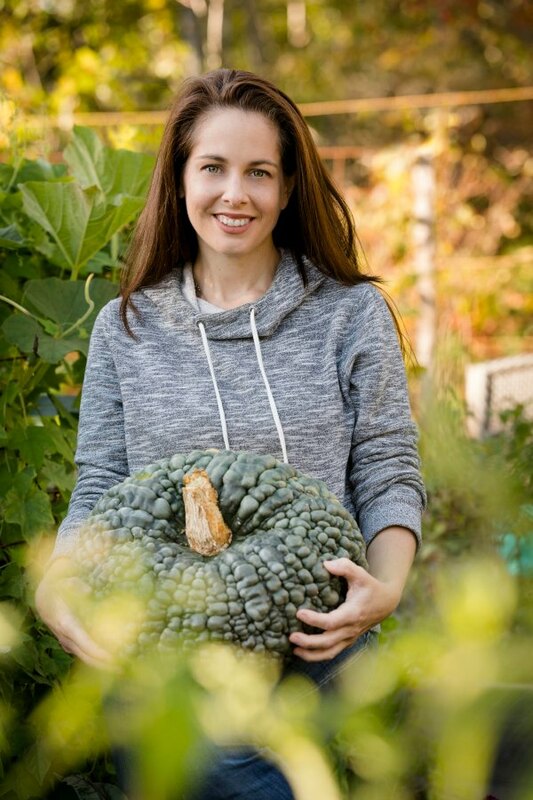 In her 2,000 square-foot garden, she grows dozens of different vegetable varieties and experiments with the more unusual crops like quinoa, peanuts and different Asian greens. Niki’s unconventiaonal – yet successful – growing techniques are proof that bing elbow-deep in snow is not a valid excuse for a small harvest. 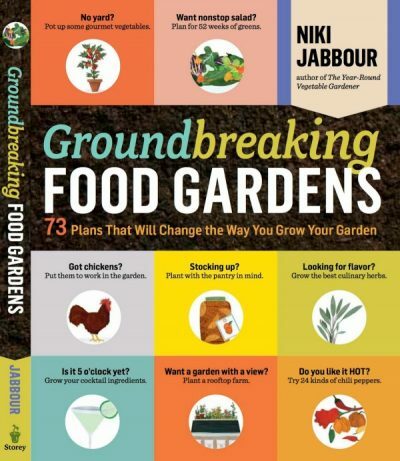 Her first book, The Year Round Vegetable Gardener, was honored with the 2012 American Horticultural Society’s Book Award and her later book, Groundbreaking Food Gardens: 73 Plans That Will Change the Way You Grow Your Garden opens your eyes to all the possibilities. Confession…I’m a little partial to that 2nd book because my backyard homestead plan is one of the 73 plans included. Whoot! For the last 9 years, Niki has been the host of the radio program, The Weekend Gardener which is heard throughout Eastern Canada on News 95.7 FM. Niki’s work can also be found in Fine Gardening, Garden Making, The Heirloom Gardener, Horticulture Magazine and many other gardening publications. In other words, Niki is kinda a garden rockstar and I think you will love her interview. Hi Theresa, I love your show! I’m a pretty new gardener. You and Niki talked about insulating crops with straw or shredded leaves in this episode. Is there an episode you can point me to with more information about how to do this? Is this done after the shoots have come up and you have thinned? I am still a little unclear on timelines and reasons for doing starts inside and/or seeding directly. I have only done direct seeding and bought starts because the whole process seems really overwhelming to me. If you haven’t done it yet, that’s my episode request. Thank you! I believe Niki was talking about mulching more established crops to give them a little more warmth through winter. So they would not be seedlings, but rather larger plants. The mulch of straw or leaves just gives little insulation between the air and the soil and helps retain heat. If you ever mulch around seedlings,you just have to be sure not to cover them up too much or you may smother them. Seeds will pop up through a thin layer os straw or shredded leaves as long as the layer is thin enough for them to poke through.